Park guarded day and night, pool complex with several indoor and outdoor heated pools, sauna, steam room, health center, playground, club for children from 3 to 14 years, multifunctional field, bowling, tennis, table tennis, room Video games, TV, billiards, bike rental, bar, restaurant, take away food, laundry, diverse and varied entertainment day and evening. Superb stay and would definitely like to return at some point in the future. The mobile home, is exactly as per the photographs, and lovely and clean. There are a couple of niggles, hence the 4 star rating, rather than 5. Due to the close proximity of the homes, it would be ideal if the kitchen blind was reinstated, as it was clearly once there. The smoke detector needs attention, as despite getting a new battery fitted, it continued to go off, for no reason whatsoever. The toilet flush needs looking at again, as the previous fix using cable ties, is not quite doing the job, and on occasions the water continues to run after a flush. Otherwise, the accommodation and the site were very good, staff very friendly. It was lovely and quiet when we were there, having the pool to ourselves was wonderful! Just for info, the wifi, whilst unlimited in data, is restricted to 2 devices, and can only be used by one device at a time. Would recommend this accommodation and hope to visit the site again in the future. De grandes plages à proximité de la location. Le mobile home était propre à notre arrivée. Je recommande cette location. Nous sommes très content de notre séjour, le propriétaire est très disponible et répond rapidement à nos questions. La piscine couverte est très appréciable à cette saison. 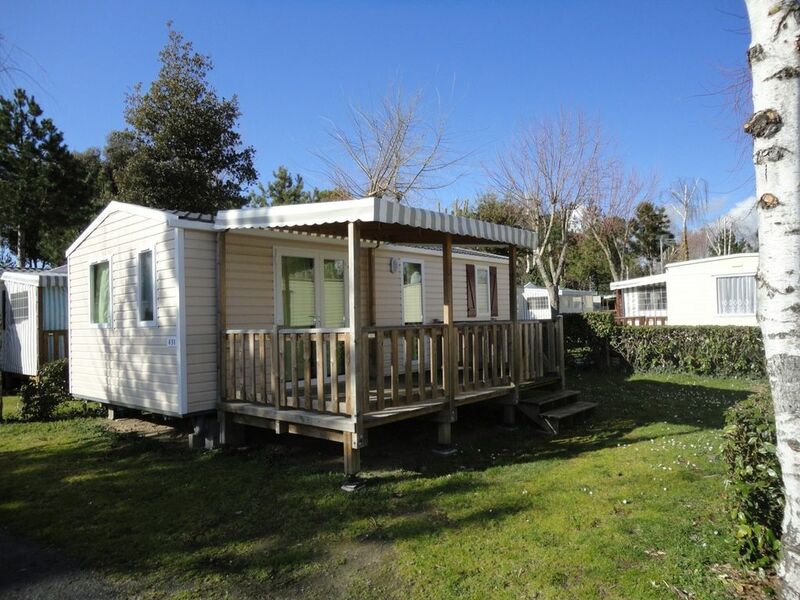 Camping familiale sympa malgré une implantation dense des mobil home. Mobil home impécable et bien équipé.